Inside Iran: Interview with Dr. Laina Farhat-Holzman — 1389 Blog - Counterjihad! 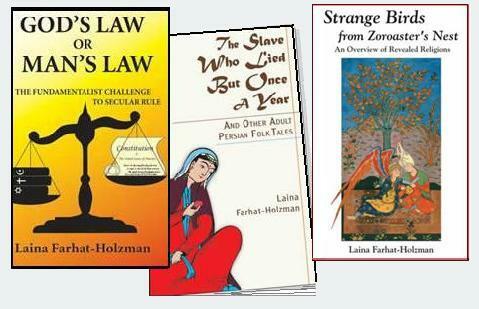 Dr. Laina Farhat-Holzman is a writer and historian who formerly taught World History and Islamic Civilization at Golden Gate University in San Francisco, where she was also Executive Director of the San Francisco United Nations Association and was a frequent speaker for the World Affairs Council and the Commonwealth Club. She has been a 26-year observer of the Islamic Revolution in Iran and has been charting the growth of fanatical radicalized Islam around the world. Both as a columnist for local newspapers and in scholarly papers given at academic conferences and published in the Comparative Civilizations Review, she has warned of the danger to democratic societies from a rising tide of fundamentalist/political religions. 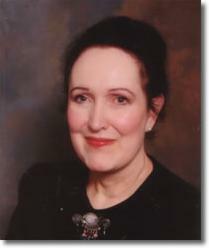 The September 11, 2001 attack on America has increased the demand for her columns and as a lecturer. A book completed just before the attack, God’s Law or Man’s Law: The Fundamentalist Challenge to Secular Rule, has been published, and is going into its second edition. Dr. Farhat-Holzman has lived in Iran twice: the first time when married to an Iranian student who was doing his graduate research in his home country. She was witness to Iran’s accelerated attempt at modernizing during the reign of the last Pahlavi shah. Her second residence there was fifteen years later, during the period leading up to the Islamic Revolution. She was the cross-cultural expert on a project that involved a number of US defense firms, US intelligence agencies, and the Iranian Air Force. Her perspective on radicalized Islam is a combination of domestic experience, professional experience, and her background as a historian. I am delighted to have found you—and been found by you! When someone hears about a woman living in Iran, the images that immediately spring to mind are of Sally Field in the movie: “Not Without My Daughter”. Tell us please how you were introduced to Iran. I met my Iranian husband at UCLA, and in graduate school, he received a Ford Foundation Grant to study Persian Court Music (an ancient and lovely tradition that was rapidly disappearing). We spent two years in Iran, living with his family and giving birth to our first child. His family, being old aristocracy, was nothing like the terrible family of the young woman in “Not Without My Daughter.” My experience was during the post World War II period when the young Shah finally roused himself to engage in modernization projects (something his father had done as the first modernizer after centuries of decay). My then husband’s family were patriotic, eager to see Iran get out from under the thrall of Islam, and they welcomed me—their educated and curious American daughter-in-law. Adding to my luck: I had an amazing and unique mother-in-law who was vibrant, beautiful, and wise, and we took to each other and were friends until her premature death right after the Islamic Revolution. My experience was very different from that of the Sally Field character who went to Iran at the wrong time and into the worst kind of family—pious merchant class people.